The improvement in the ride of this Bronson was very noticeable (click to enlarge). 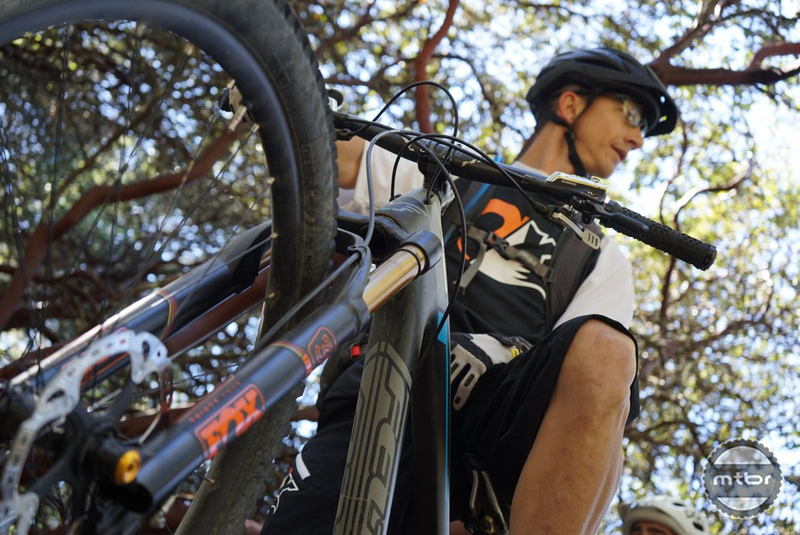 In the last two years, FOX stumbled a bit in fork technology since the inception of CTD forks. Considered the leader in bike suspension for the last decade, riders observed that the recent crop of forks lacked suppleness and control. But as competition heated up from the likes of RockShox, FOX invested heavily in R&D to get back to their performance heritage. We saw what they were capable of with the performance of their FOX 36 forks last year which were received with near unanimous acclaim. Now most of that technology comes to the more popular 34 line of forks. A comparison between the Mtbr 2013 and 2015 surveys show that FOX lost ground in the last two years (click to enlarge). What did they improve? In a nutshell, everything. They left no stone left unturned in their quest back to the leadership position in bike suspension. The fork chassis is all new with every piece losing a few grams to contribute to the weight loss challenge. The big weight loss though comes from the new FLOAT air spring in the fork which controls compression and rebound. Compared the Fox 36 air spring, an inner rod was lost in favor a cleaner, lighter design that incorporates indentations in the inner stanchions to let air pass at the prescribed location. The 27.5 fork loses 219 grams compared to the 2015 model. 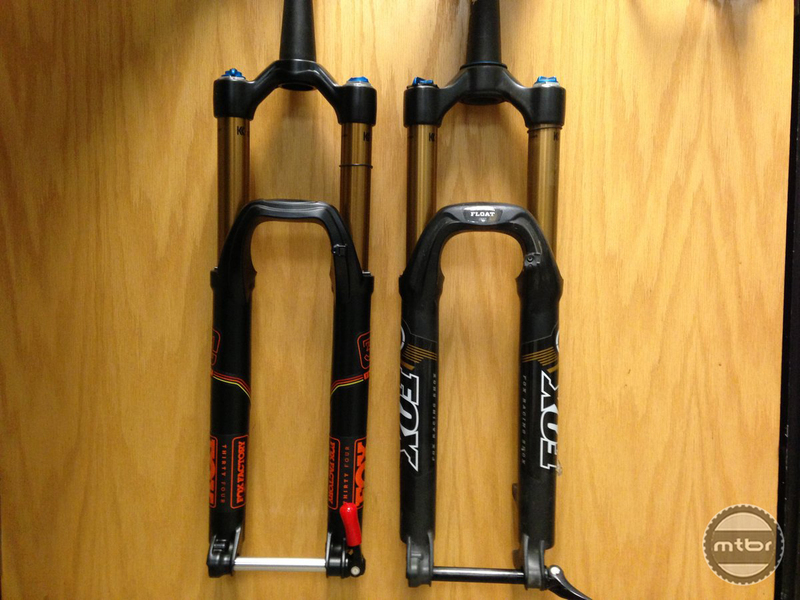 The weight of the new 160mm fork is now 1746 grams which is lighter than the RockShox Pike as well. 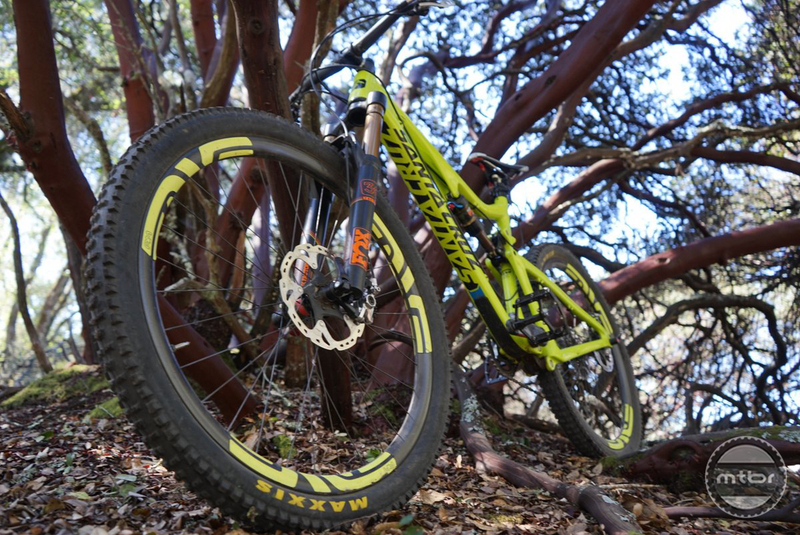 The 140mm 29er version loses a whopping 297 grams (.65 lbs) over the 2015 model. Chassis stiffness numbers are all maintained despite the weight loss. Comparison of the front of the forks. The 2016 fork is shown on the left with a lower axle to crown height (click to enlarge). The new FIT4 damper utilizes a new, equalizing positive and negative air spring. This brings the fork in a state of equilibrium at all pressure levels and it becomes easier to initiate bump compression. Flow paths have been improved too with a larger 10mm shaft so more oil can flow through the base valve. It’s the same architecture as what’s found in the FOX 36 and 40 with less friction so this fork is much smoother over small bumps and trail vibrations. Mark and his 2016 FOX on a Felt 29er. It seems that Mark’s fork is sporting the race team, lightweight gold axle (click to enlarge). With the new negative air spring, the negative coil spring has been removed as well. This not only improves weight but also the noise and vibration level as the spring is no longer buzzing inside the fork. And since the negative air spring is self adjusting when charging the main chamber air pressure, lighter and heavier riders are all served equally with the optimum negative pressure and small bump compliance. The RS Pike is still better!! No it’s not. Ask anyone who has ridden both and they will all tell you the same thing. @juan and @jon: go boot up your free AOL online cd on your dell and stop watching shows that aren’t coming back. Would you like some cheese with your wiiiiine…? Cuz fatbikes were so 1990? Loved my Pike & fox36 but charging stupid lines through chunk is more fun on 4″ rubber. The real “better” is suspension overall, no need to deal with the trade off of low weight/ high flex vs. stiffness/travel and the weight of a small boat anchor. The real X factor seams to be will Cane Creek step up with a fork option to match the incredible db series of shocks. Any idea when this fork is released to be bought? Will the air spring for the 29er version retro fit an older Fox 29er 34? 2012 or 2013 specifically. Has any company ever released a newer product every year saying the old part Is better then a new one? price is going to be the biggest seller. Most people are going to ride what came on the bike when they bought it. Racers/pro’s will abuse whatever sponsor pays their bills, and given. I’ll look at it next year when the new one comes out! Any spec’s yet on the new Axle to crown heights? How do the ATC heights compare to pike? Lateral stiffness, is it on par w/ Rock Shox pike 35mm stanchions? How can you post these ratings, if the percentage doesn’t add up to 100% in any of the bar charts?